Pavement Marking Tape - RoadSafe Traffic Systems, Inc. Permanent or temporary retro-reflective tapes are used as alternative marking materials and are easily installed by hand. There are several types and grades available. 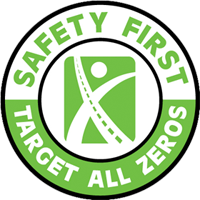 Contact a local RoadSafe branch with project specifications to obtain pricing.